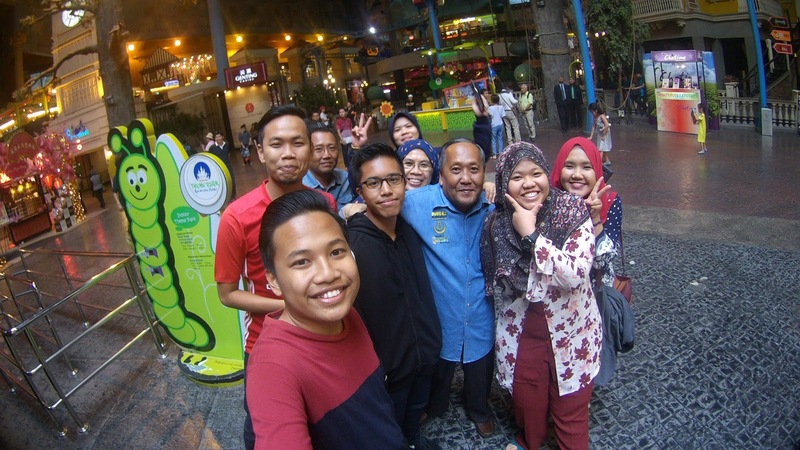 The last time I went to Genting Highland was when I was 17, followed a school trip. I can barely remembered the feeling being on a roller coaster. To my delight, the family decided to spend one night in Genting, while on the journey to Johor for my cousin's wedding. We spent our night in The First World Hotel since the price at that time wasn't expensive as it was off-peak season. 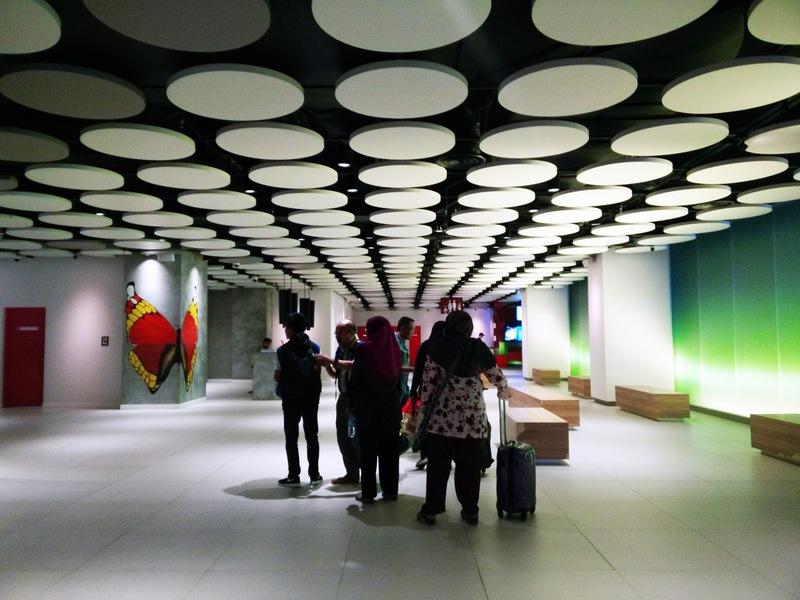 One Standard Room which would cost up to RM500 during peak season was offered RM50 at that time, when booked with Booking.com. 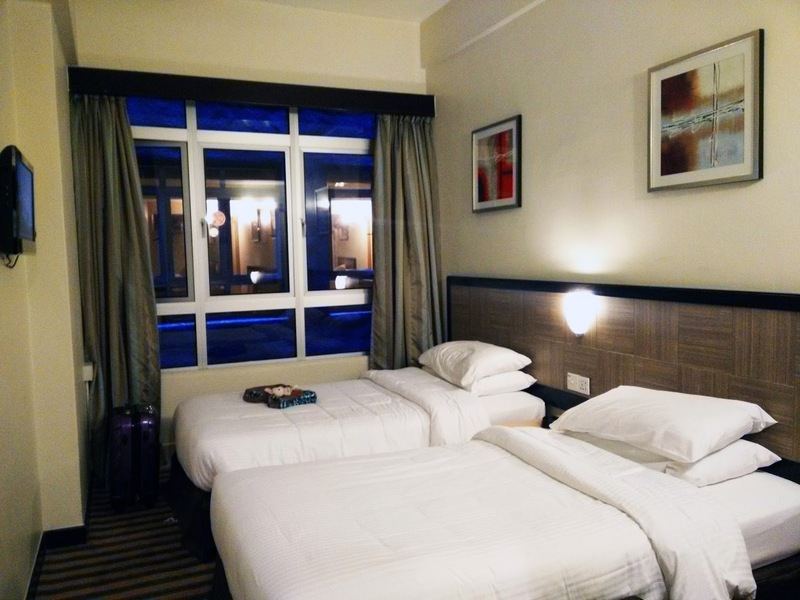 We chose two rooms which connect together, one of the rooms comes with two single beds while the other comes with one queen size bed. The room was so cozy and cold even without an air-cond since the temperature was below 20 Celsius. 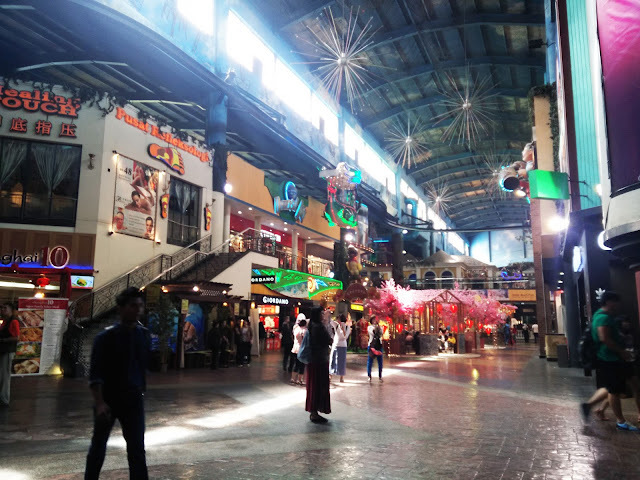 Actually, I went to Genting with the mind of going on rides in the indoor theme park since the outdoor one is under construction but to my disappointment, the indoor theme park was under construction too so it was closed! We had no choice but just to look around and went to Sky Avenue. 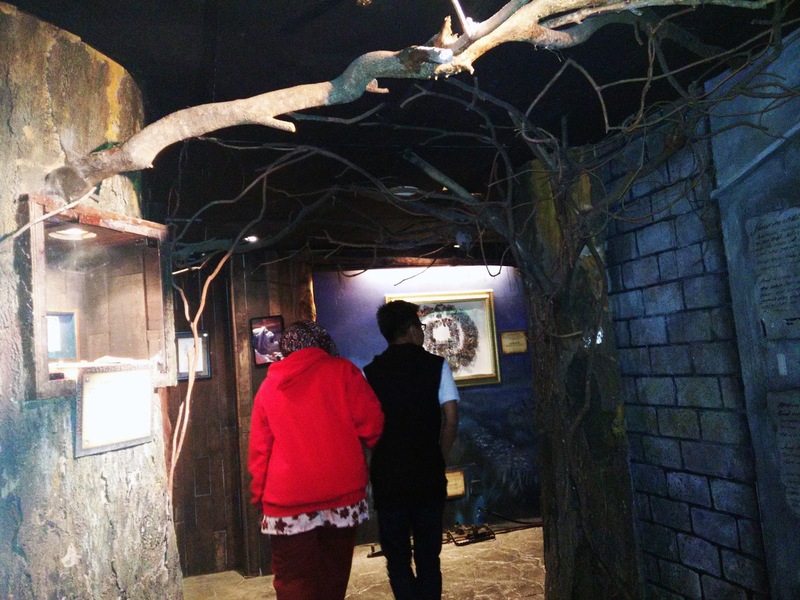 After a while, we decided to go to the Ripley's Believe It Or Not museum where they display over 500 exhibitions regarding the show. The ticket costs RM25 for one adult, can't remember the price for a child though. Right after we're done with the museum, we went on the ride that go around the area which was so slow, you could've fall asleep if you're sleepy. It costs RM10 per person for one round but the kind staff gave us another round after we pleaded with our puppy eyes. 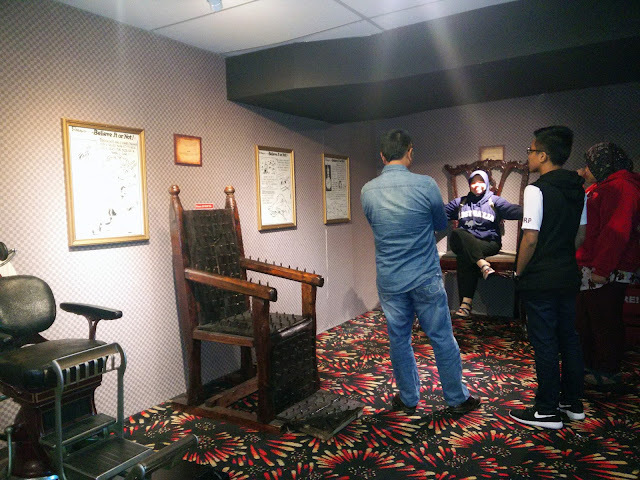 On the ground floor, right downstairs of Ripley's Believe It Or Not museum, there was a haunted house and my brothers and cousins decided to test their bravery by entering it. I must admit that I don't have the courage to enter any haunted house ever since I was a child, so I declined their persuasion to go in. Cameras weren't allowed in there but as far as my brothers told me, the haunted house was one of the most scary haunted house they've ever went to so the RM25 per person entry fee was worth it. Finally at 6pm, we went to the Snow World which was located at the near end of the mall on the first floor. Before entering, we were given a sweater, gloves and boots to help us overcome the cold in there. 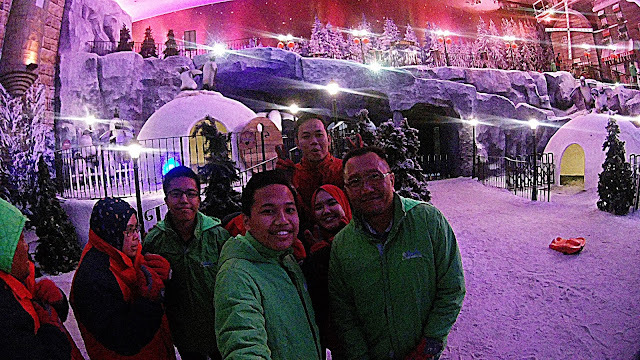 I must say that the Snow World was the highlight of Genting while the theme park is still closed as it was the most fun thing to enjoy. The ticket is quite pricey, RM38 per person but it was totally worth it. 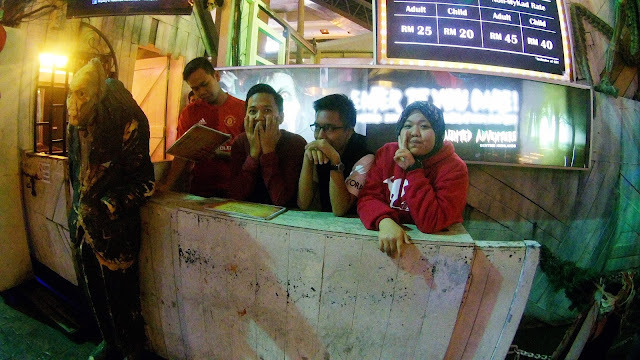 And that's the end of our time in Genting Highlands. 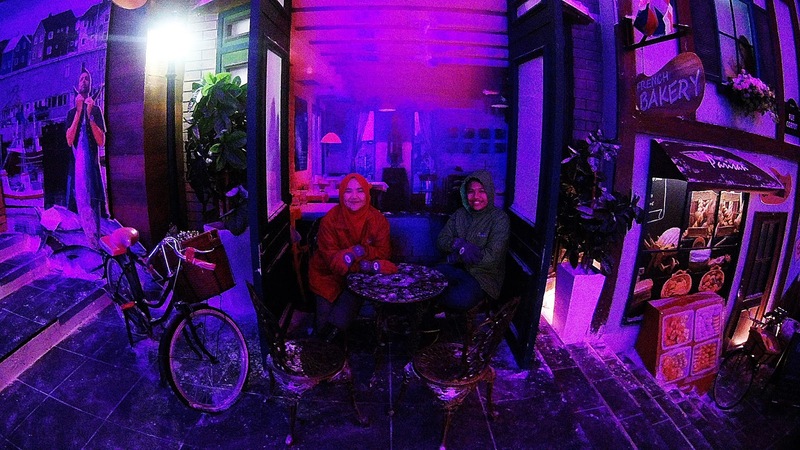 The next morning, we took a walk outside the hotel and shortly after, continuing our journey to Johor. Though we didn't get to enjoy the theme park, I still love the short escape as the weather is so nice and the time spent with my family which I longed for. 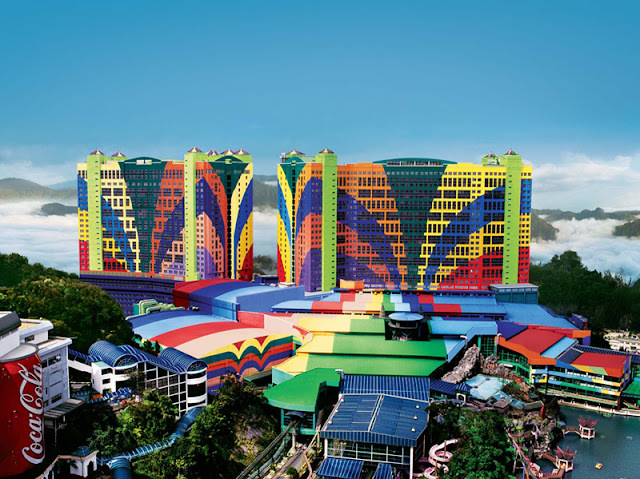 I definitely will come back to Genting when the theme park is open again, I want to ride the roller coaster! I know right! I wanted to go on rides in the theme park too, hope it'll be soon that the theme park re-open! A random unplanned trip will always be the best actually, but I never got the chance to do it haha. Haah sejuk je so rasa macam kat obersea hahaha. 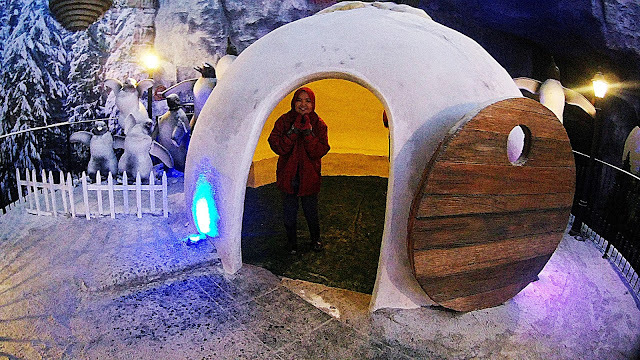 Tula, lepas dah siap theme park, kena pergi! you can go with friends or by yourself when you're older. or why not we go together once the theme park open, that'll be fun! went there once. its been a while. back in 2002 i think.. haha..
too bad its still under construction for the upcoming rebranding of 20th century fox theme park..